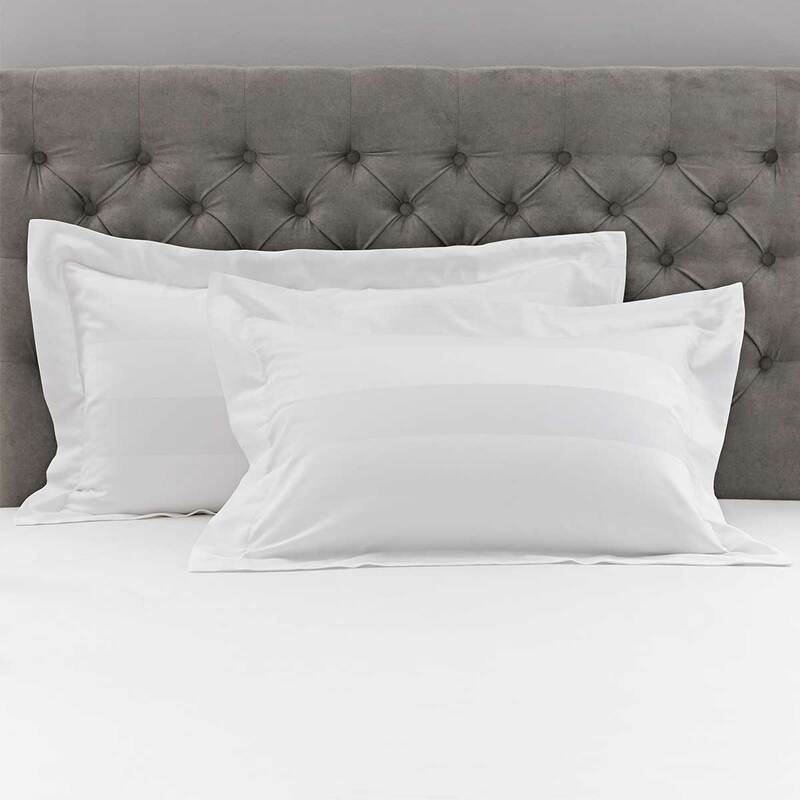 One of the smartest and stylish collections you will find, made using our extra silky superior 400 thread count cotton sateen and featuring a smooth wide jacquard-weave stripe, it will be hard to find anything to compare. The vertical stripes down the duvet contrast with the horizontal stripes across the oxford pillowcases. It’s a match made in heaven. Available in size double, king size and super king and finished with a button fastening.